Cold War consequences remained high from the end of World War II to long after the fall of the Berlin Wall. For some, the price of being captured meant prison time, public trials, or for some, torture and execution by being shot in the back of the head. 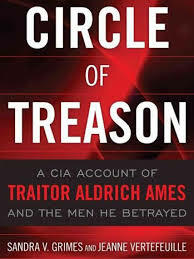 The authors of the book,”A Circle of Treason“, Sandra Grimes and Jeanne Vertefeuille, started their careers in the CIA in 1967 and 1954 respectively. The authors give a detailed account of their lives in the CIA. Each started out as Administrative and Intelligence Assistants and advanced to the level of station and branch chiefs. The book is exactly what the subtitle states, “A CIA account of the traitor Aldrich Ames and the men he betrayed.” The authors produced a book that details the inside story of how the agency caught one of its own spies, Aldrich Ames. What can’t be denied after looking at the evidence is Ames’ dishonesty, lack of integrity, avarice and betrayal to the people he swore to protect. Aldrich Ames, according to the authors, caused the deaths of many CIA assets who were vital to the security of the United States at a time when both countries had nuclear weapons and not that much command and control over them. The task force investigated Ames the detailed information on bank accounts and meeting they found led to his arrest in 1994. So why take this long to write the book. The authors let the readers know up front that their work was vetted and scrubbed by the CIA’s Publications Review Board so nothing in the book compromises security. The CIA review process took three years. Between that and the insistence that the book be accurate gave the book a published date of 2013. The book covers the history of the team, the authors’ careers and how each arrived at the table of five principal investigators with the mission of trying to find out why their CIA assets were being systematically identified, called back to Moscow, tortured for information and executed. The years long investigation was tedious and frustrating but the Grimes and Vertefeuille continued their dogged pursuit eliminating a group of people to get to the only one they determined could be the mole that gave up their people. The book makes clear that it is not enough to accuse someone of spying and being a mole for America’s adversaries but an agency has to have proof. Proof that can hold up in court. This means having dates, times, documents, video and audio if possible so that when an officer or agent arrest the person that person pleads guilty or there is a conviction. The book covers that and includes instances where Ames was given his own office so that the agency could hide a camera to get more information for their case. What is particularly chilling is how Ames sells out his people for money and nothing else. The authors give their Soviet assets a human form by covering their backgrounds, their families and revealing why they might have chosen to spy for the United States and rather than be loyal to the communist regime. The internal political issues and personality clashes hindered the process as it moved along. As an understatement, these problems are systematic of the Washington, DC, area government offices in general. It is a testament to the group that they stuck with their mission of identifying the traitor. The book is highly recommended for getting the inside story from two people who actually were there and understood the process and why it took a while to capture on of their own. In the aftermath, many people didn’t get proper recognition for sticking with the investigation. This book outlines who the primary heroes in this case and who in the bureaucracy set out to place blame and take credit where credit wasn’t due. These two highly skilled professionals and authors fall into the heroes category but they are professionals and getting the man who betrayed so many people was enough. This book opens the building cipher lock doors, walks by the badge checker to the rooms where daily CIA operators work so the reader can find out how they caught their mole. It doesn’t tell you everything but it is as close as the public will get. 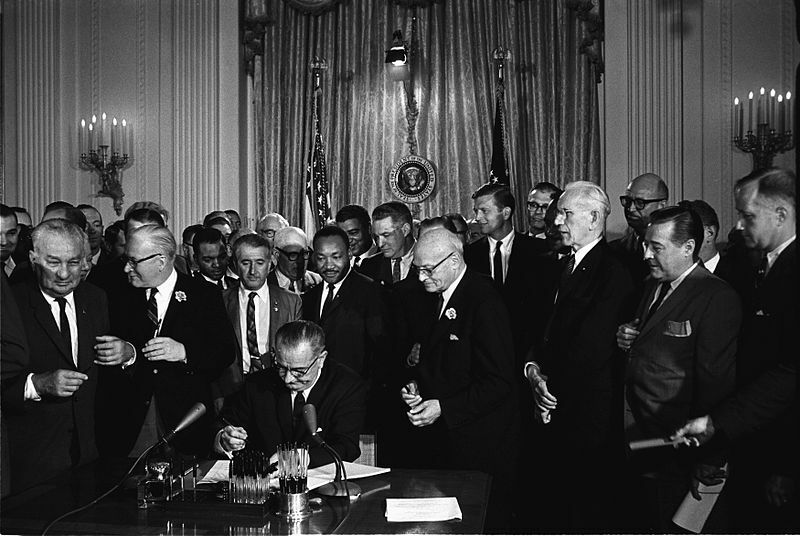 A song that references the Civil Rights Act passed in 1964 and specifically the formation of the Equal Employment Opportunity Commission to “Give those who ain’t got a little more” as Bruce Hornsby sings. The also refers to the Food Stamp Act of 1964 to help those people who need an assist to boost themselves up the economic ladder. Best remembered words of the song: That’s just the way it is. Some things will never change. That’s just the way it is. Ah-but don’t you believe them. Billy Joel has stated that he doesn’t like singing this song in concert because he has to remember a string names and events from history. Indeed, he’s on record as saying he didn’t think the song was “that great to begin with.” Song criticisms aside, the song does a good job of listing several famous people and historical events while rhyming at the same time. Gordon Lightfoot researched the tragedy of the Edmund Fitzgerald and put the events leading up to the freighter sinking into a song that is classic still being heard today. 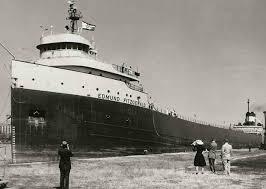 The SS Edmund Fitzgerald Great Lakes Freighter surrendered to the cold waters of Lake Superior on November 10, 1975 during a heavy storm and with it took the lives of its crew of 29 souls on board. It’s a perfect blend of words and haunting music. I know this doesn’t reference history but it refers to the people who write the first draft. This is an amusing song to listen to but it is so true. He wrote this song in 1982 but it is relevant as ever today. He’s turns the microscope on media but he’s really scolding us, the audience, for liking it way too much. Lines like “People love it when you lose” throughout the song disrobe the media so the listener can see the king, the media, without their clothes while simultaneously scolding the audience for giving the media the power to continue their wicked ways. Considered one of the best call to action songs of all time. Bono tells the listener he’s tired of the violence. It’s non-partisan song but he is clear from the lyrics that he wants the killing to stop. The militaristic drum beat in the beginning sets the tone for the words and music U2 brings to the song. Lead singer Bono sings, “I can’t believe the news today. 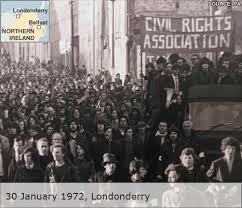 Oh, I can’t close my eyes and make it go away.” Later, he asks “How long must we sing this song.” From their “War” album, the song concentrates on the “Bloody Sunday” incident in Derry, Northern Ireland in the Bogside area on January 30, 1972 when 13 protestors died from injuries from battling British forces during a Northern Ireland Civil Rights Association March. This is a song that has been covered by many singers and is about three significant people in the fight for civil rights. The words, “Has anybody here seen by old friend Abraham” and repeated for Martin and John are poignant throughout the rendition. A song about what might have been. 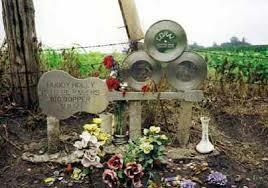 A song about a terrible plane crash near Clear Lake, Iowa on February 3, 1959 that killed everyone on board including Buddy Holly, Ritchie Valens and J.P. “The Big Bopper” Richardson. On the surface this masterpiece of writing is about that plane crash but has several references and meanings in the lyrics left to interpretation of the listener. The interpretation is left to the audience because Don McLean refuses to say what he had in mind when writing the lyrics. This has left several people to create websites to fill the void about what the song means. This song is about the Vietnam War and how it affected soldiers after they came back to the United States. 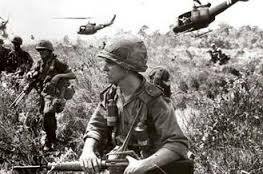 It is a song that is relevant to every soldier coming home from every country involved in a conflict, As the song title states, the average age of the Vietnam soldier was 19 years old. An age significantly lower than the Korean War and World War II. Honorable Mentions: The Night They Drove Old Dixie Down-Joan Baez; Strange Fruit-Billie Holiday; Pride (In The Name In Love)-U2; Zombie-The Cranberries; Ohio-Crosby, Stills, Nash and Young.